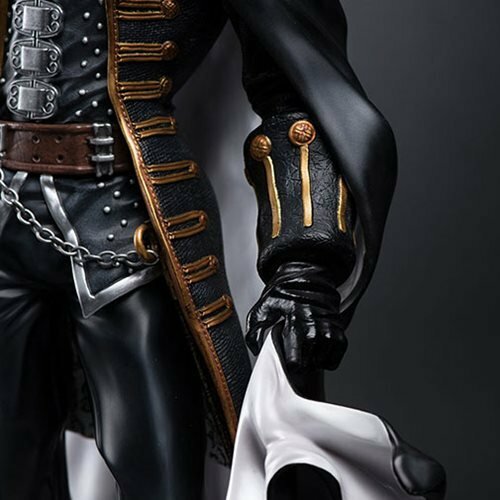 First 4 Figures presents Dracula's son, Alucard, from Castlevania: Symphony of the Night! 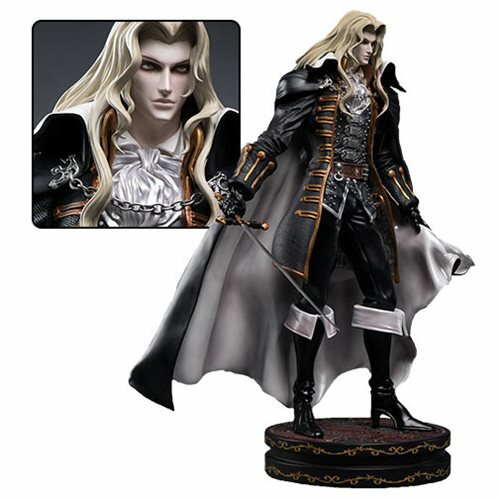 Alucard stands an amazing 21-inches tall atop a gothic-style base. 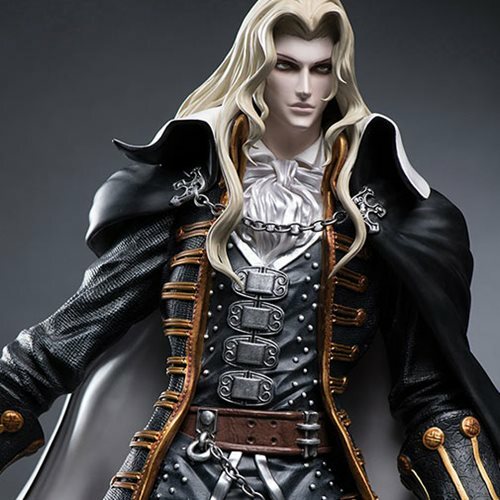 First 4 Figures presents Alucard, also known as Adrian Fahrenheit Tepes! 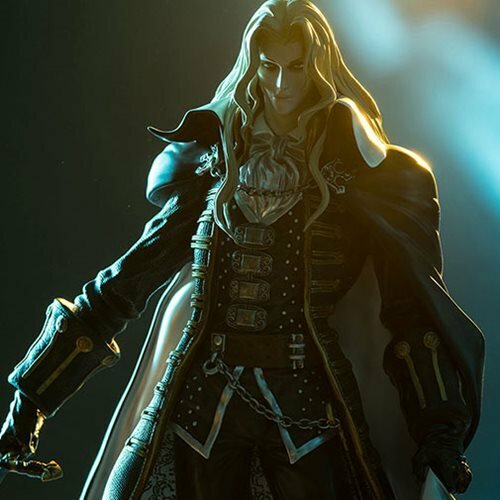 Based on his appearance in Castlevania: Symphony of the Night, Alucard is featured in his elegant suit and cape. Cast from high-quality polystone, this statue is hand painted to produce an outstanding finish that brings this statue to life. 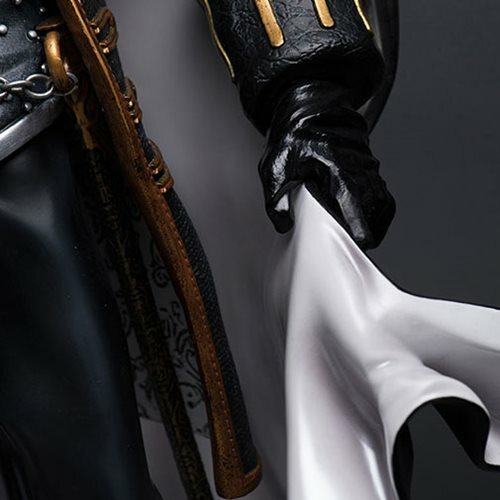 Artists also took this statue to another level by incorporating die-cast metal into Alucard's signature sword! This Castlevania: Symphony of the Night Alucard Statue measures about 21-inches tall x 14-inches long and comes with certificate of authenticity. Born because of an unnatural bond between Dracula and a human woman named Lisa, Alucard had special powers and was destined to be stronger than any human but not as strong as his father. After his mother had been killed, Adrian grew up under the tutelage of his father where he was taught the dark arts and shaped into the warrior who would one day fight for the side of evil. Alucard is a superb swordsman and typically wields one handed swords at times along with a shield. Alucard's other attacks use dark magic. Being a shape shifter, he can transform into a bat, wolf, or even mist.